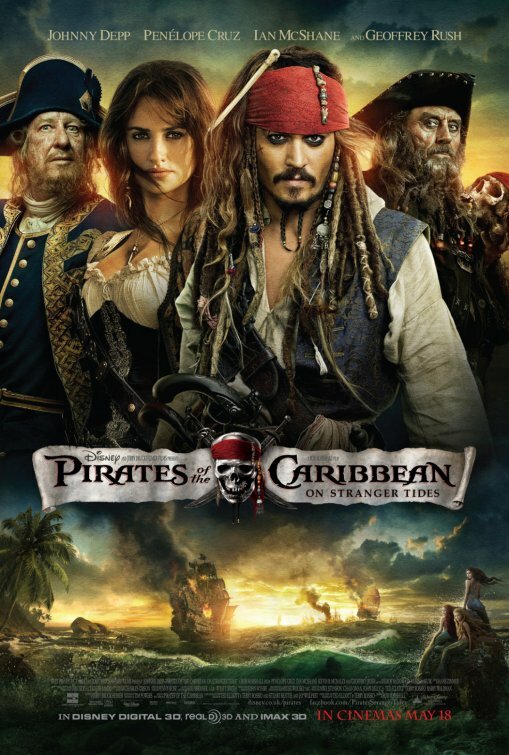 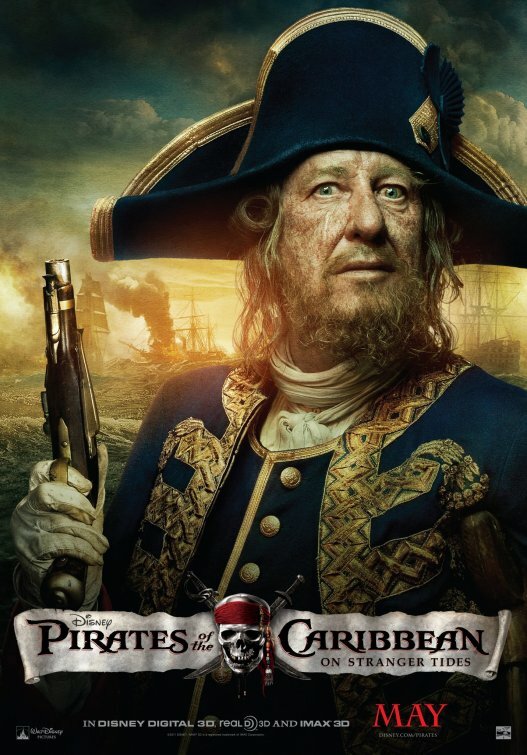 Geoffrey Rush returns as 'Captain Hector Barbossa' in the fourth installment of Disney's Pirates of the Caribbean, On Stranger Tides. 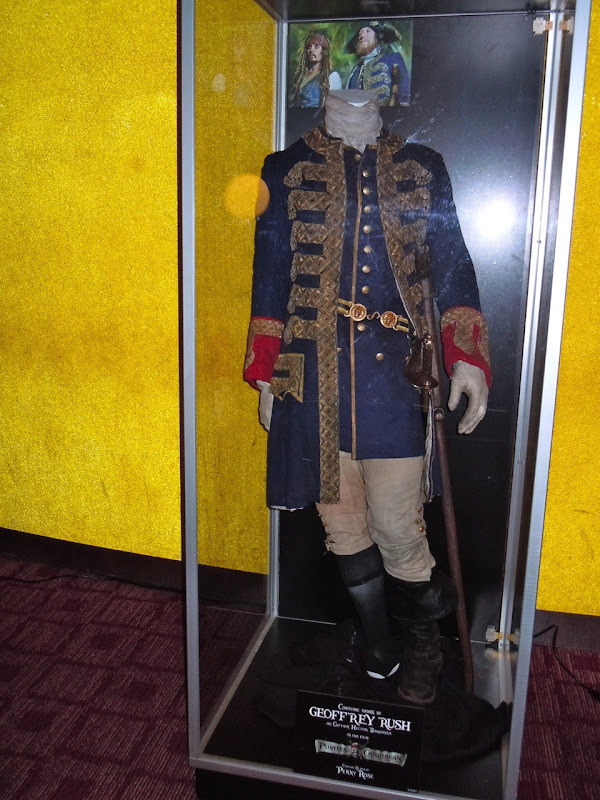 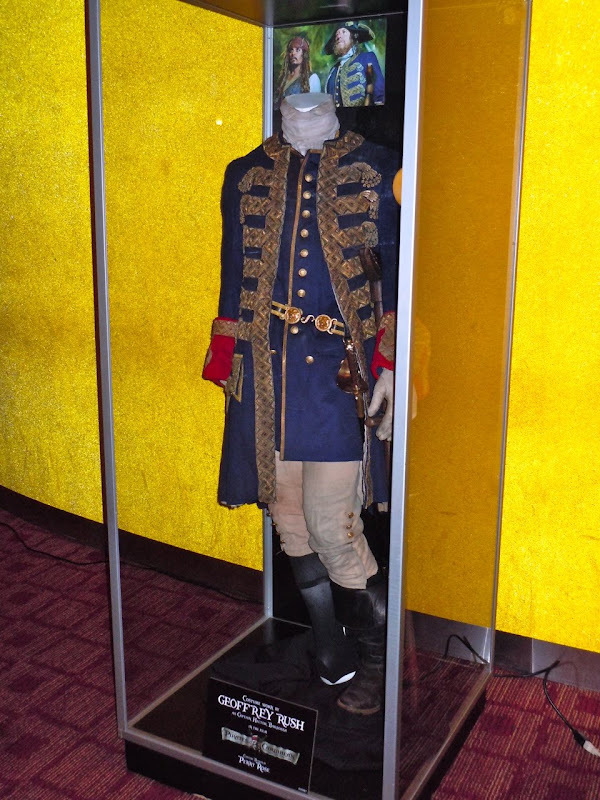 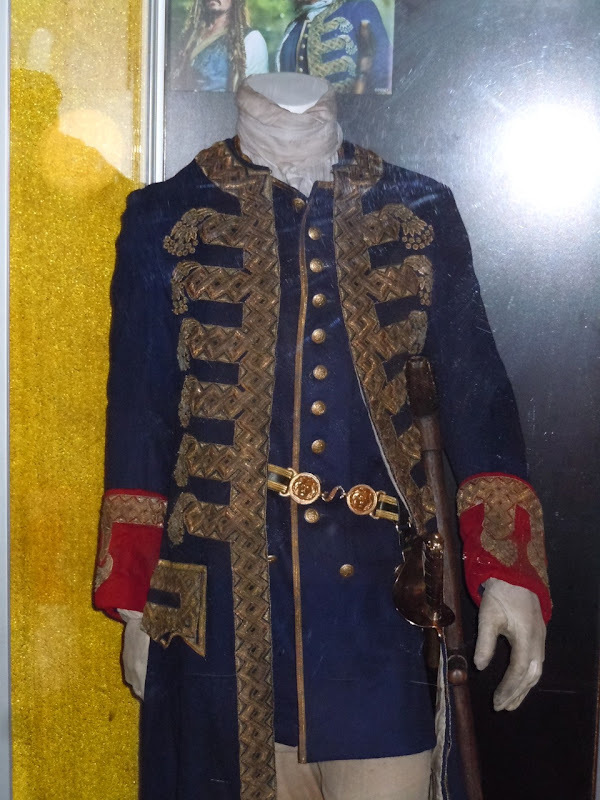 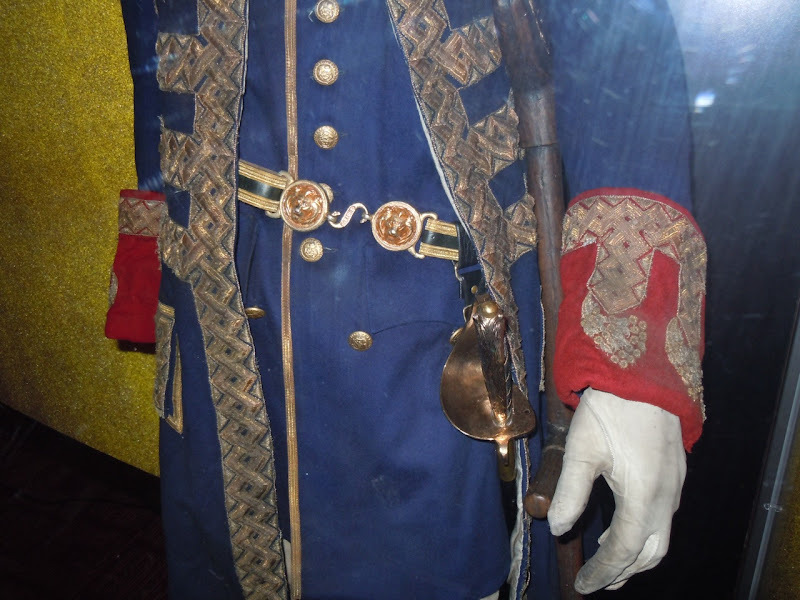 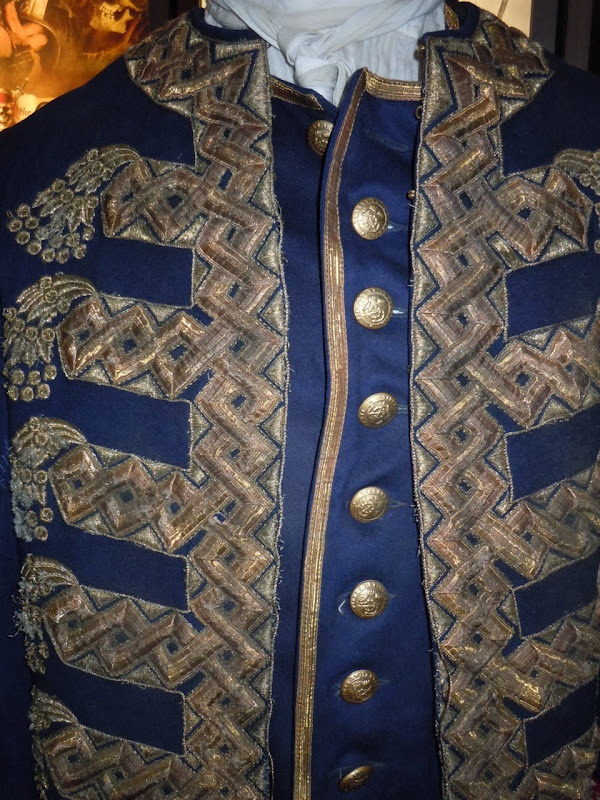 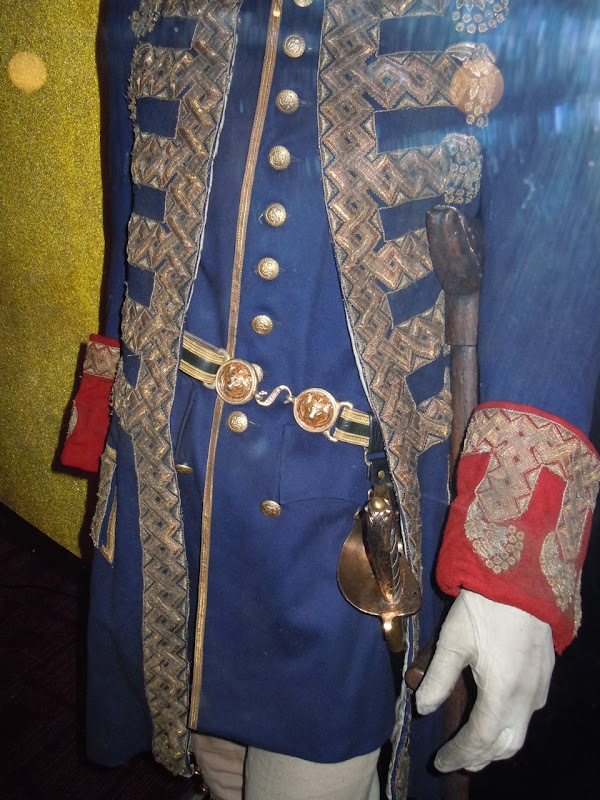 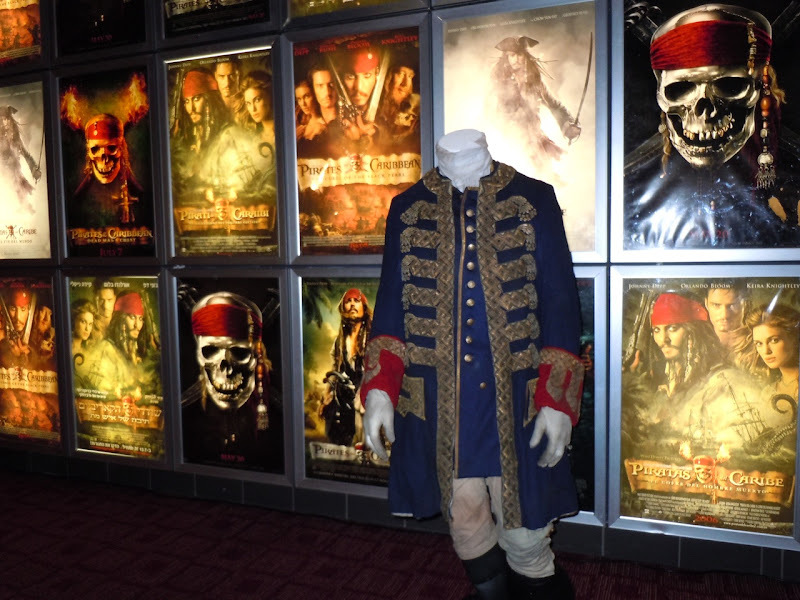 Here's his new costume from the movie on display at ArcLight Sherman Oaks cinema on April 29, 2011. 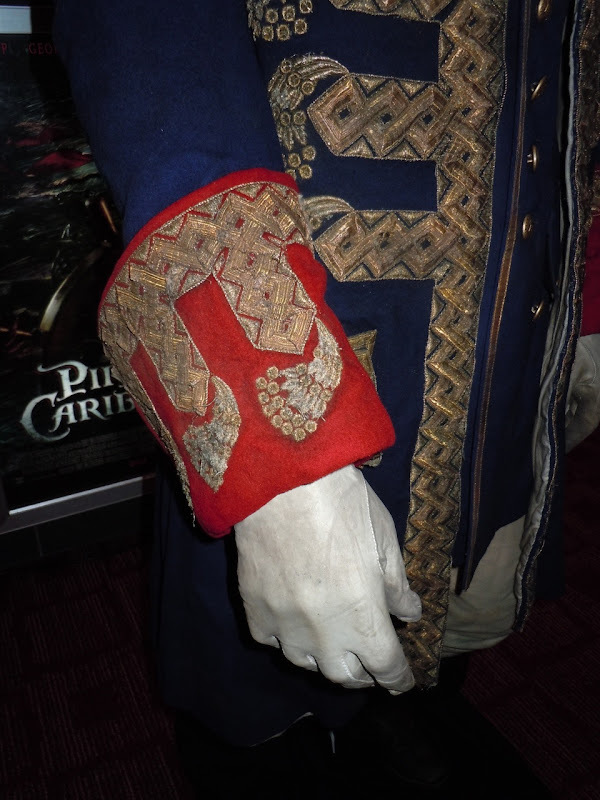 Things have changed for this film and no longer is he a pirate, but instead a privateer in King George II's court and he now captains the HMS Providence. 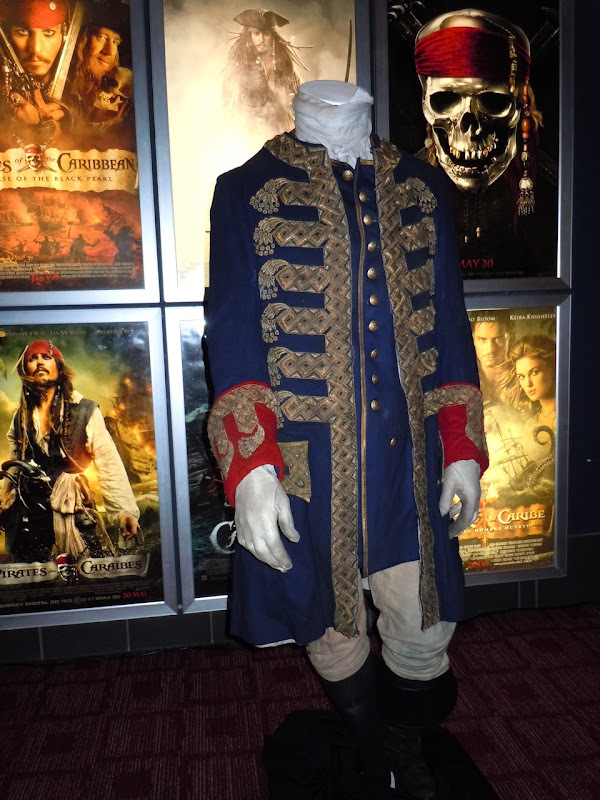 Penny Rose is responsible for designing these fantastic period looking costumes. 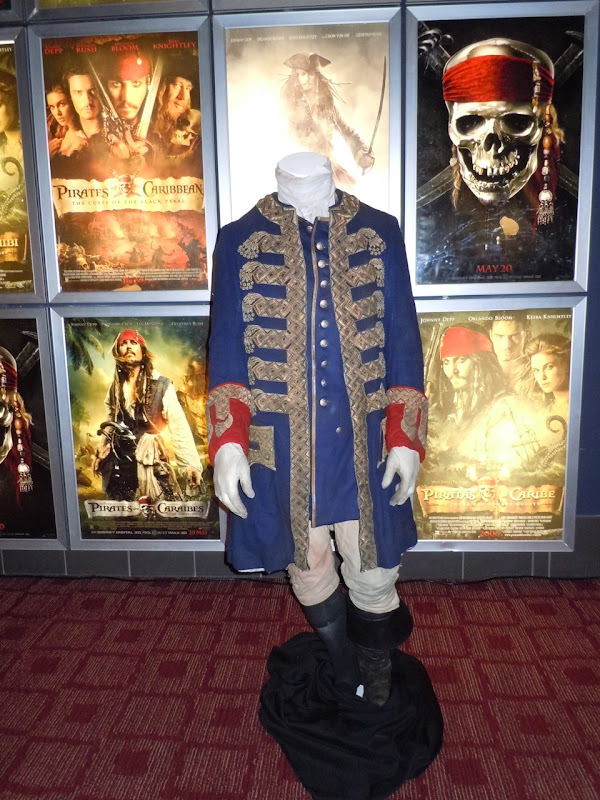 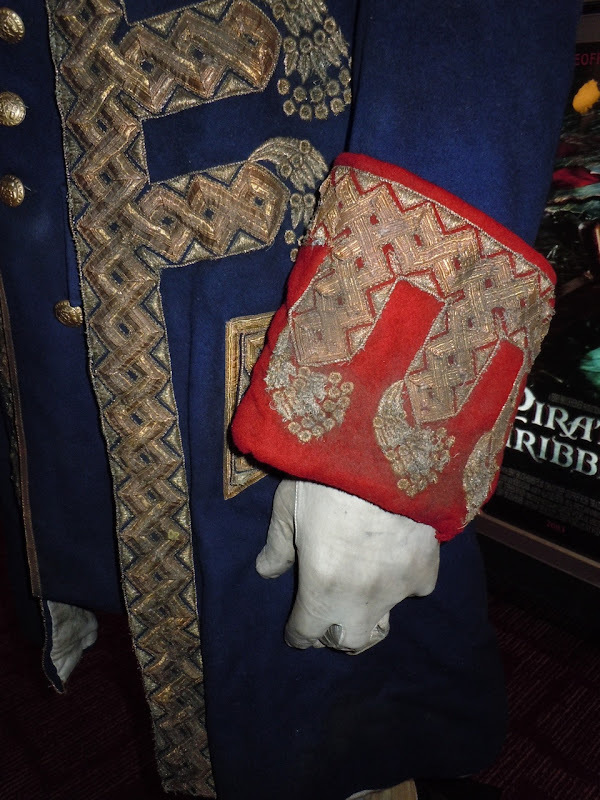 Be sure to also check out her Norrington costume from Dead Man's Chest and Keira Knightley's gown from The Curse of the Black Pearl. 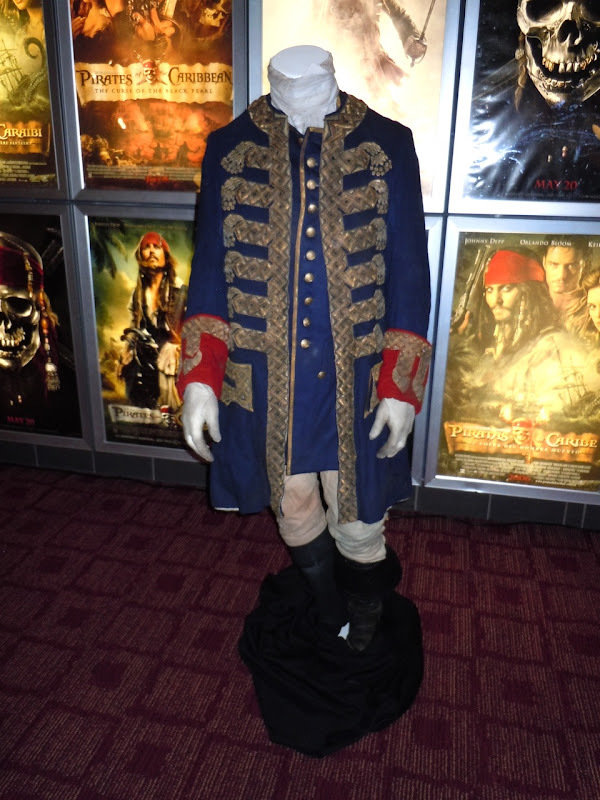 If you like this fantastic outfit, be sure to check out Geoffrey Rush's Captain Barbossa costume from The Curse of the Black Pearl. 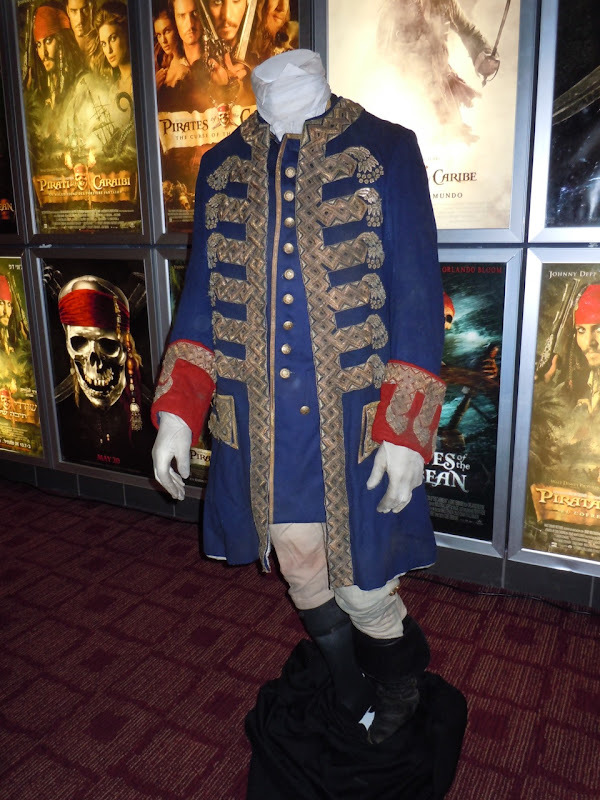 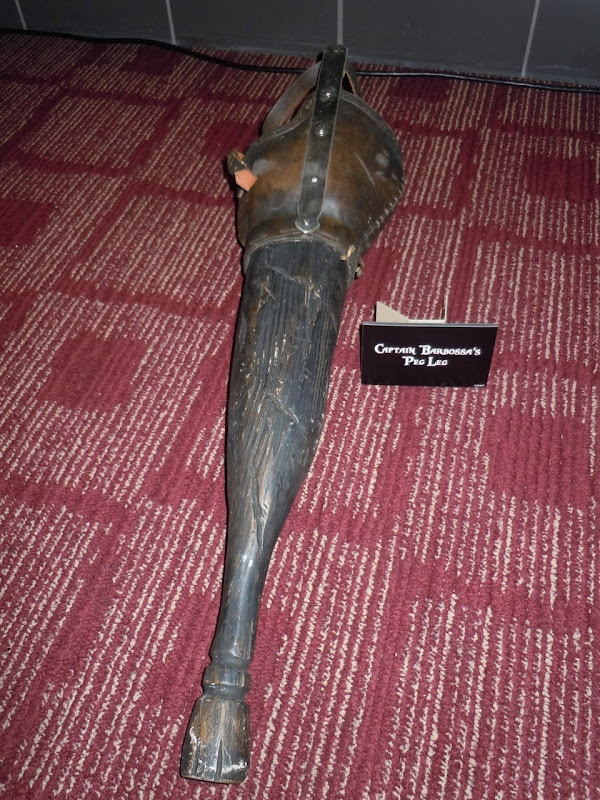 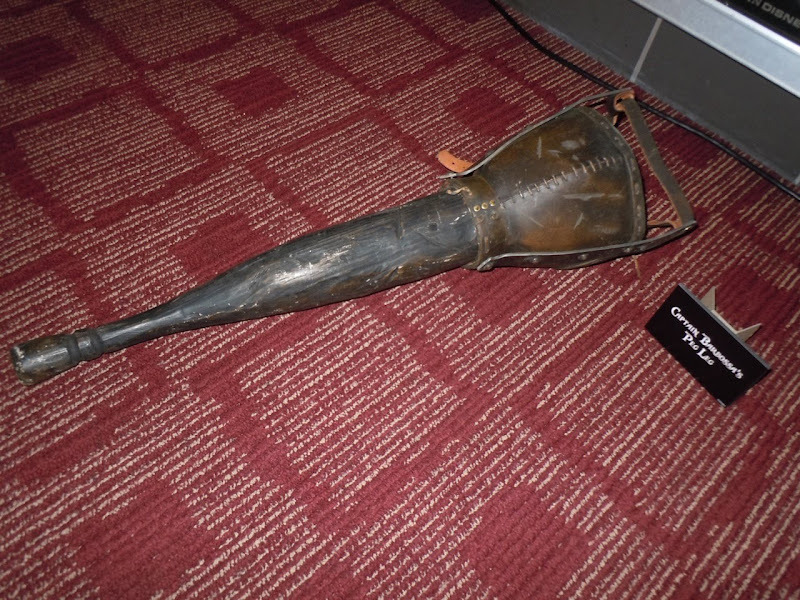 In addition to his profession changing, Captain Barbossa has also undergone some physical changes as this slightly macabre peg leg prop attests. 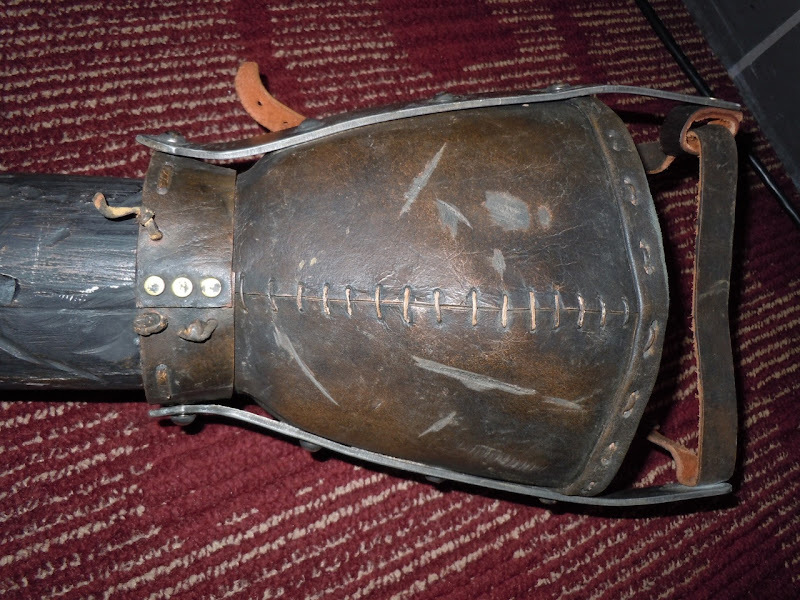 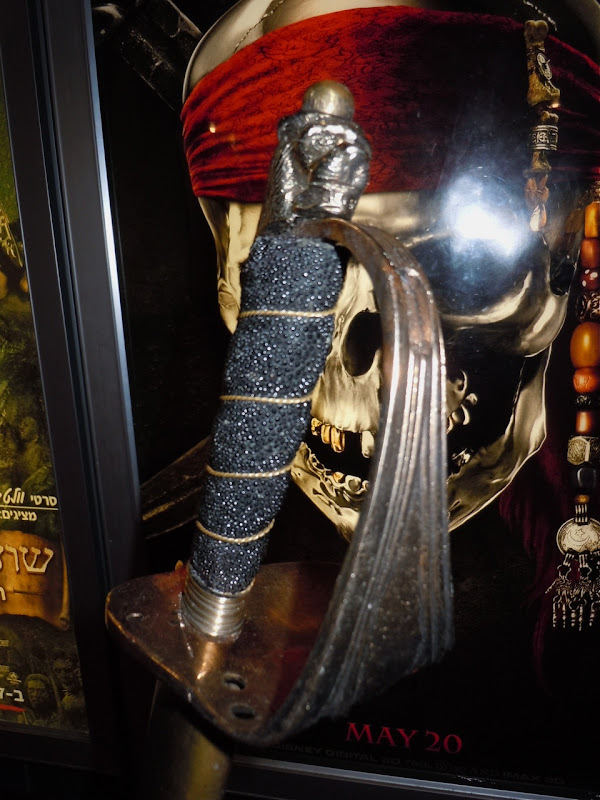 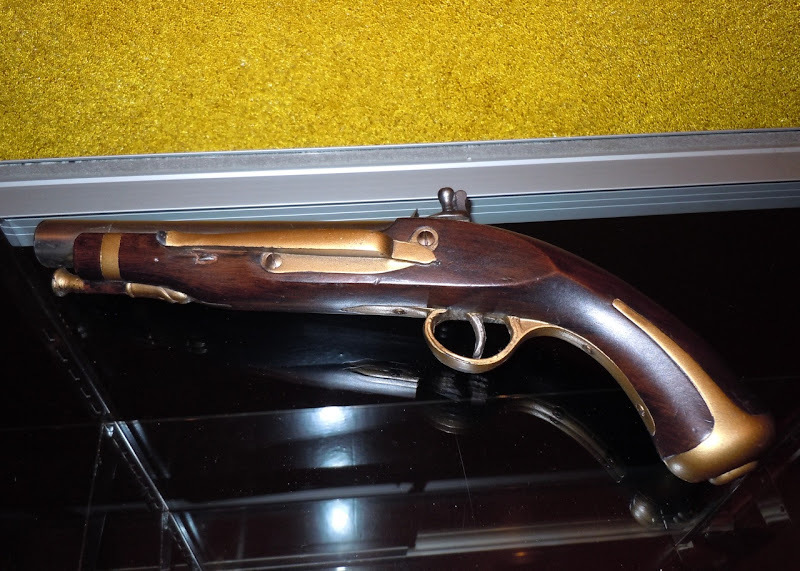 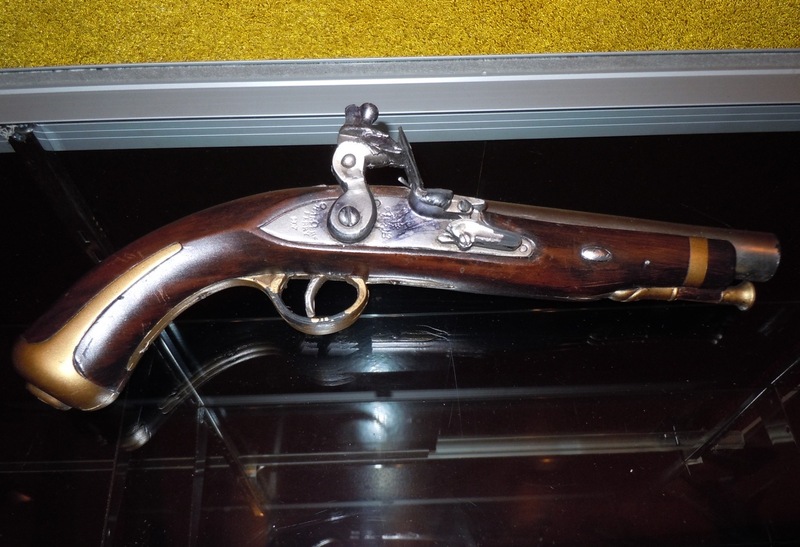 In addition to the clothes that transform the actor into Captain Barbossa, the exhibit at the ArcLight Sherman Oaks also had some of his signature weapons on display, including his pistol and sword. 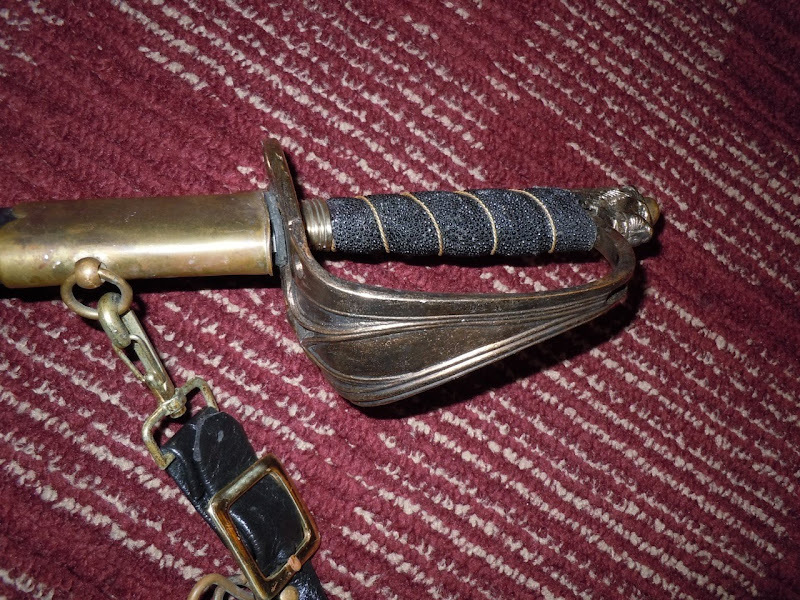 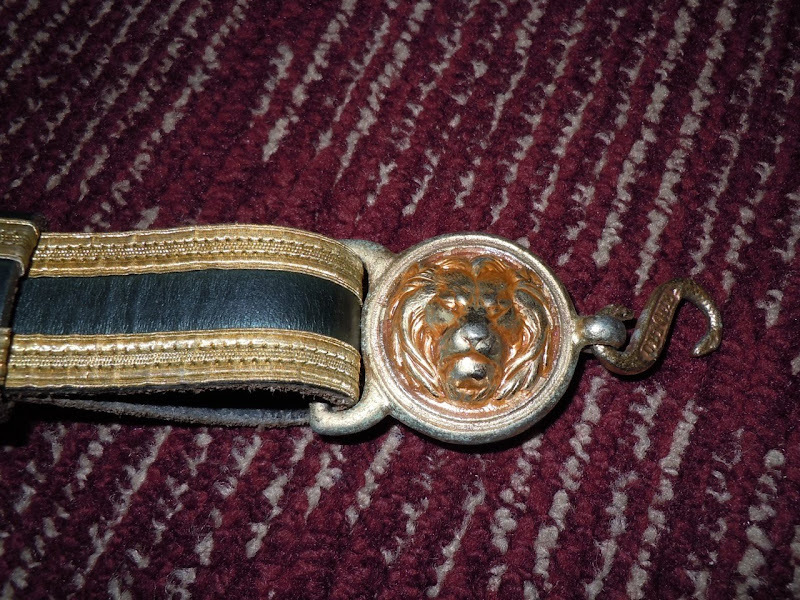 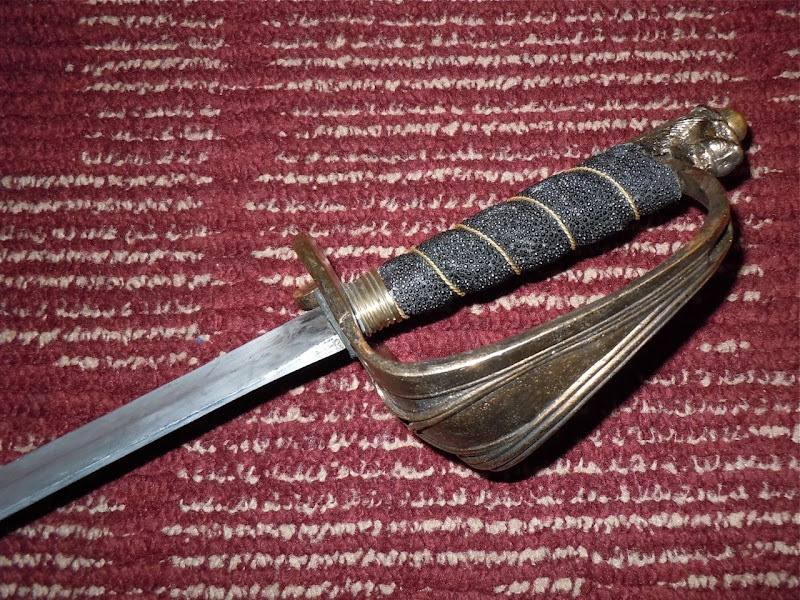 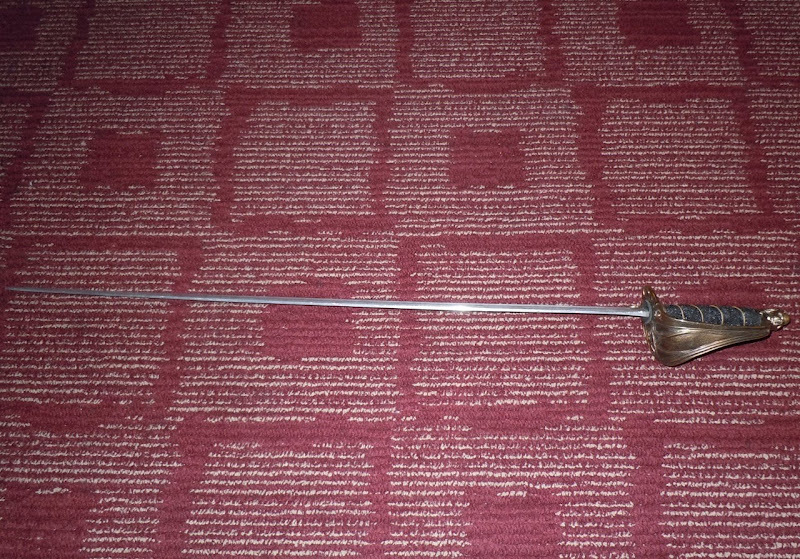 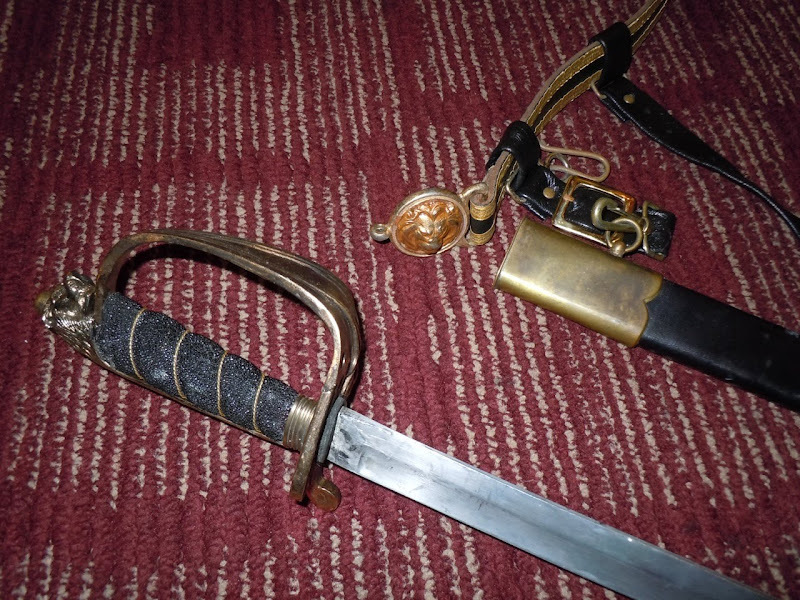 I love the detail on the sword hilt and belt buckle, it really was very cool to see up close.